Remember this story: https://blnnews.com/2015/04/29/austere-budget-short-staffed-really/ ? The opening and closing of a lane at Ireland Grove and Towanda Barnes continues, but I want you to remember the other part of the story. 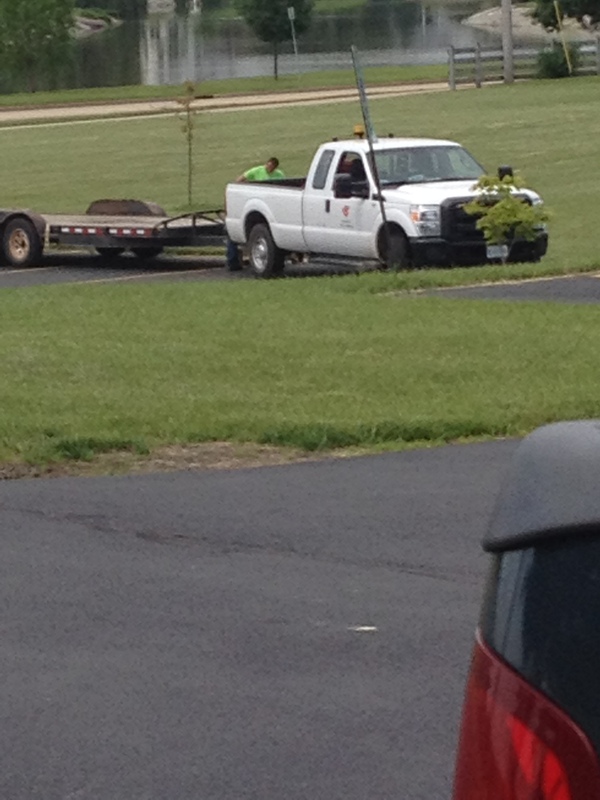 Two City employees were sent out to mow, one guy did while the other guy sat in the truck for almost 2 hours. Today I was back working on some landscaping at the same spot. This time I arrived minutes before the City mowing crew. Time: 10:35. 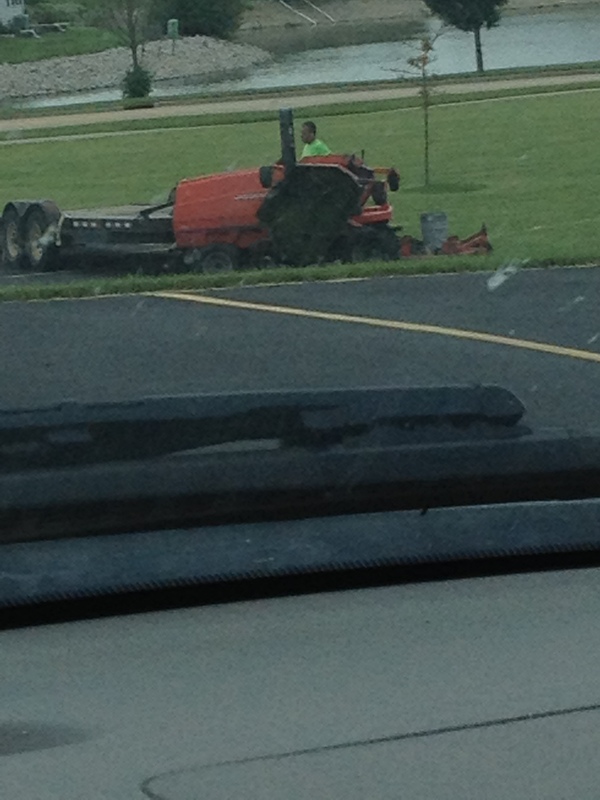 Not sure what they were doing, maybe taking a break, but the mower was unloaded at 10:55. Guess what happened next? 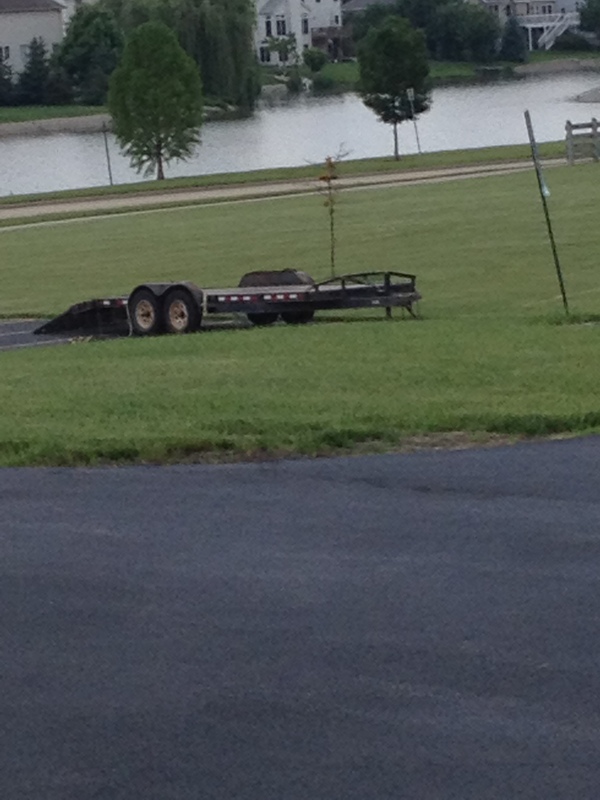 The driver dropped the trailer and left! I have no idea where he went, but at least he didn’t just sit there and wait for the mower guy to return! Around 12:40 the mower returned, less than 5 minutes later the City truck was back. The mower guy had this incredible invention called a cell phone. Am I claiming somebody at the City decided paying a guy to sit for hours wasn’t very smart? Am I claiming things changed because of my post? But at least it looks a whole lot better! Unfortunately, there is always some bad news. Lack of transparency continues at City Hall. Your Request for records cannot be complied with by the City within the time limits required without unduly burdening or interfering with the operations of the City. That’s pretty funny since the City doesn’t compile the report, CIAM does. Maybe writing fiction takes longer than I thought. Posted in - - - Please Contribute - - -, BloNo, Bloomington, Liberal Media, Local, Taxes.Tagged CIAM, city employees, Coliseum, Public Works. Diane, are you a Simpsons fan? They have an episode were Springfield got the greedy eyed monster and built a multi-million dollar opera house to look cultured and show up their rival city Shelbyville. The mayor could have said no but he enjoys being mayor and wants votes so he took city money to build it anyway. They have the big opening night and then the place lays vacant until it becomes a state prison. Perfect example of wants over needs. We just need Tari to blame taxes on illegal immigrants and we would be Springfield. Maybe we could do the Tari show! Next Post Rain is Forecast!